How do you create a strategy for guaranteeing that innovation and creativity flourish in your organization? 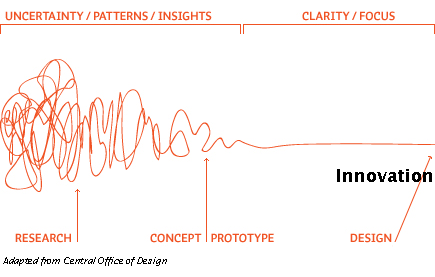 When design principles are applied to strategy and innovation the success rate for innovation dramatically improves. Design-led companies such as Apple, Coca-Cola, IBM, Nike, Procter & Gamble and Whirlpool have outperformed the S&P 500 over the past 10 years by an extraordinary 219%, according to a 2014 assessment by the Design Management Institute. Great design has that “wow” factor that makes products more desirable and services more appealing to users. Due to the remarkable success rate of design-led companies, design has evolved beyond making objects. Organizations now want to learn how to think like designers, and apply design principles to the workplace itself. 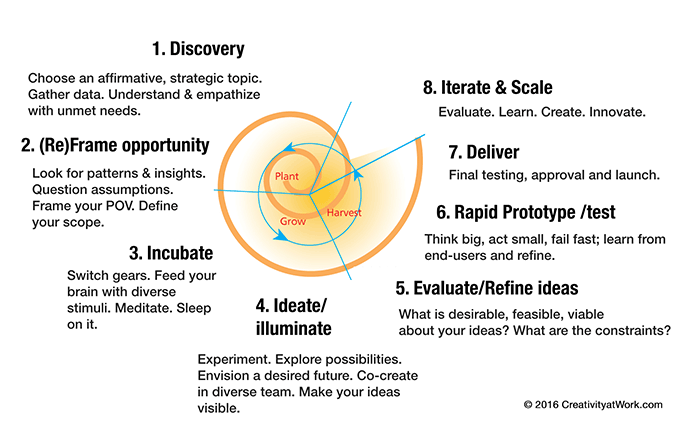 Design thinking is at the core of effective strategy development and organizational change. You can design the way you lead, manage, create and innovate. The design way of thinking can be applied to systems, procedures, protocols, and customer/user experiences. The purpose of design, ultimately, in my view, is to improve the quality of life for people and the planet. Design Thinking is a methodology used by designers to solve complex problems, and find desirable solutions for clients. A design mindset is not problem-focused, it’s solution focused and action oriented towards creating a preferred future. Design Thinking draws upon logic, imagination, intuition, and systemic reasoning, to explore possibilities of what could be—and to create desired outcomes that benefit the end user (the customer). This framework integrates classic creative problem-solving (CPS) with art and design methodologies. Design thinking offers a structured framework for understanding and pursuing innovation in ways that contribute to organic growth and add real value to your customers.The design thinking cycle involves observation to discover unmet needs within the context and constraints of a particular situation, framing the opportunity and scope of innovation, generating creative ideas, testing and refining solutions. 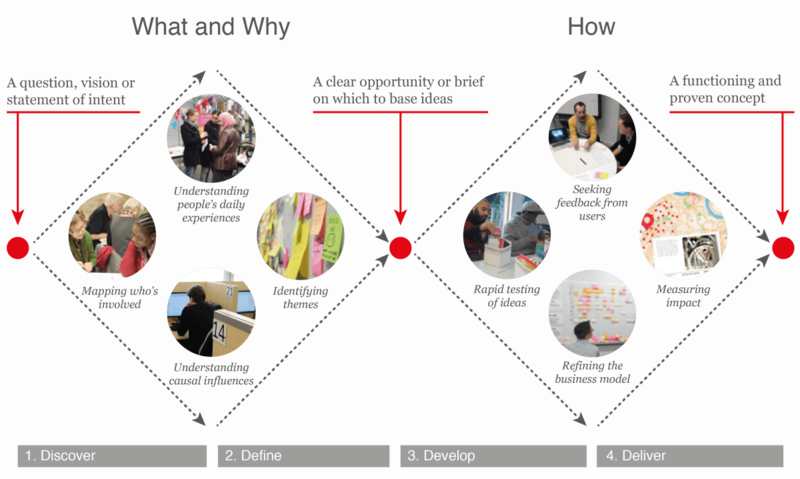 This diagram illustrates the design thinking framework created by The Design Council (UK), which maps the design process into four distinct phases: Discover, Define, Develop, and Deliver. This illustrates the divergent and convergent stages of the design process. Design thinking minimizes the uncertainty and risk of innovation by engaging customers or users through a series of prototypes to learn, test and refine concepts. Design thinkers rely on customer insights gained from real-world experiments, not just historical data or market research. You don’t have to be a designer to think like one. While learning to be a good designer takes years, you can think like a designer and design the way you lead, manage, create and innovate. Design begins with setting a strategic intention. If you are mapping out a strategy, you are designing.